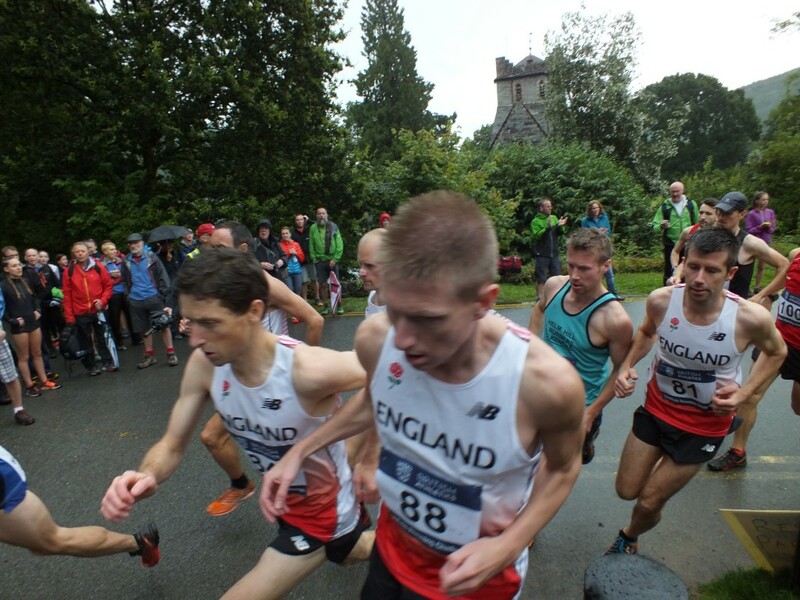 Jack Hindle competed in the U20 Men’s qualifying Race along with 26 other athletes. 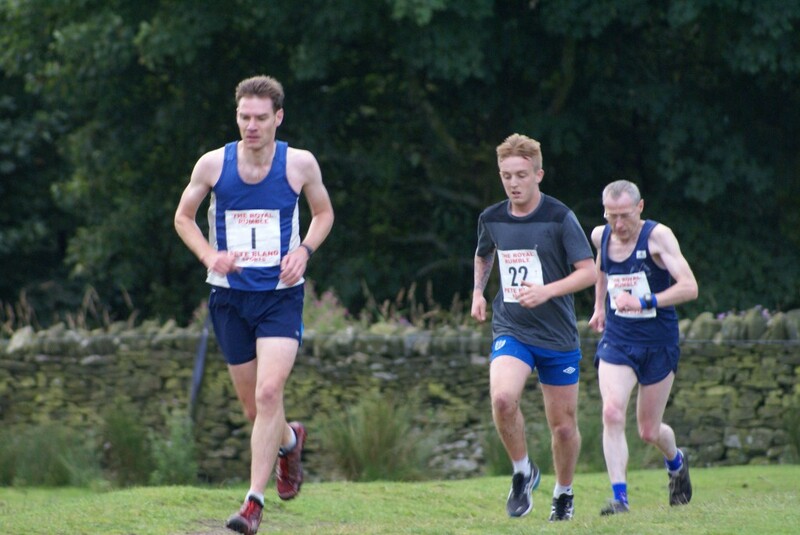 The Race won by Jack Adlin in 35.02 saw Jack finish in 8th place with a time of 37.26, which has secured him an England Vest for the forthcoming Home International. 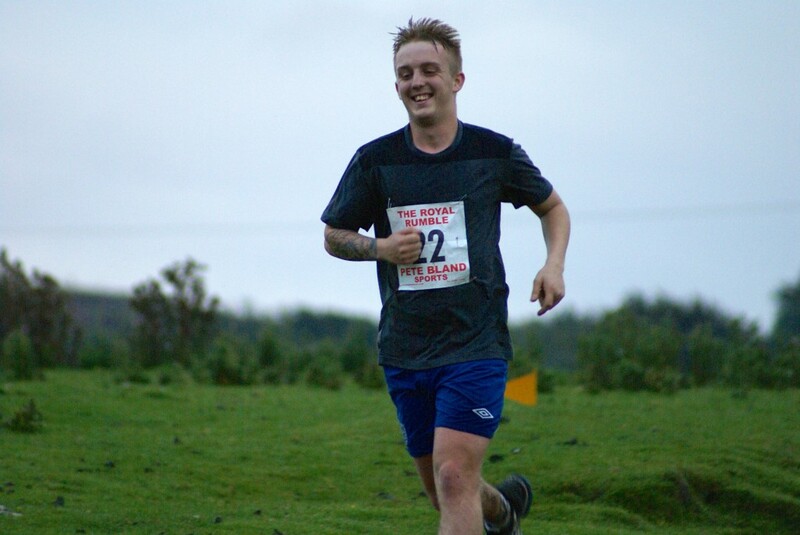 Speaking to the Club after the event, Jack said that he was “Happy with my performance, I’ve had to put a lot of hard work and training in preparation for the event! With GB and England Vests available from the trial I knew there’s was going to be a quality field. 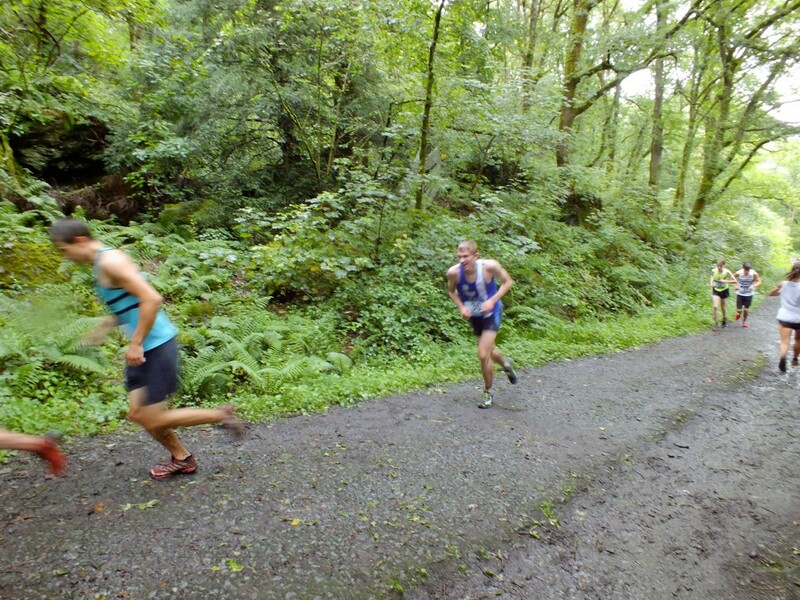 I wasn’t wrong when I lined up at the start. 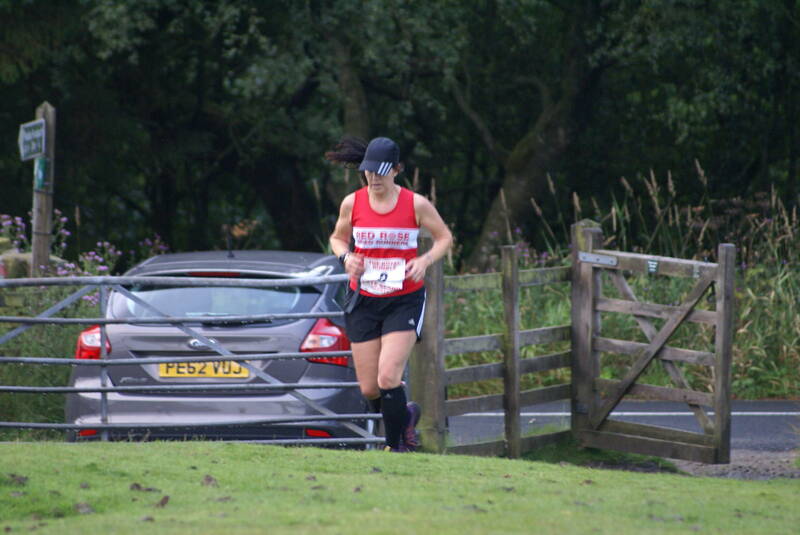 I started sensibly and worked my way through the field in what where terrible conditions. 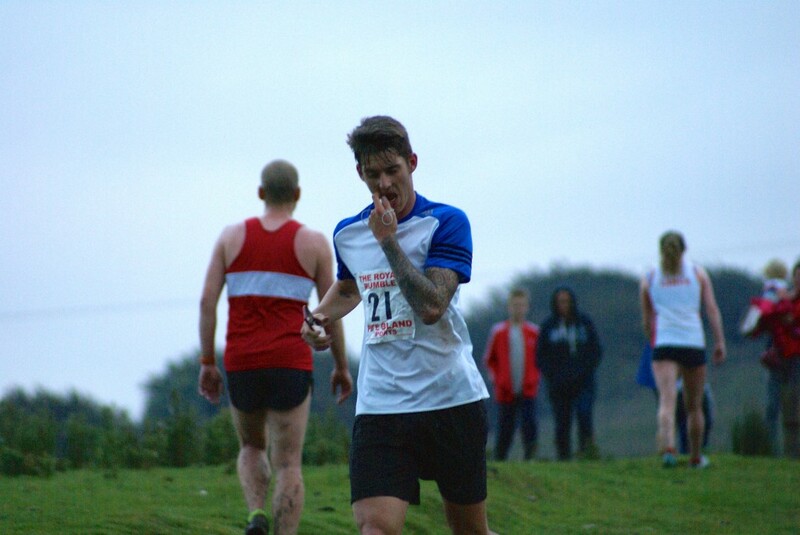 I finished in a strong position, not close enough for a GB slot, but hopefully enough for an England vest at the Home international”. Liz Greenwood ran in the U20 Women’s Race which featured a 25 strong field. 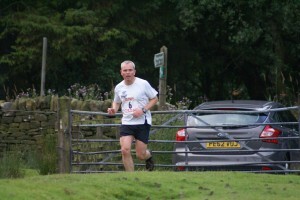 Having just been on holiday for two weeks, it wasn’t the best preparation. 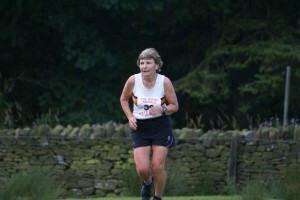 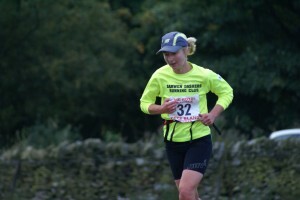 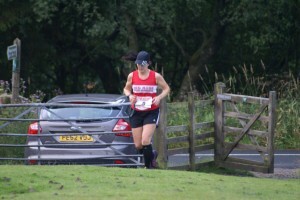 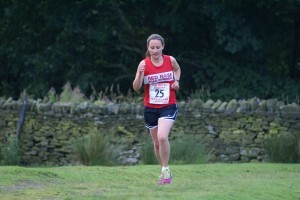 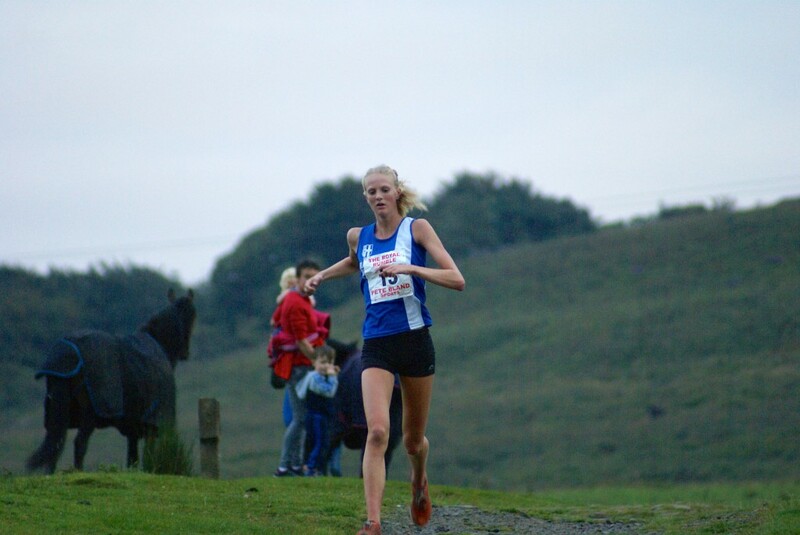 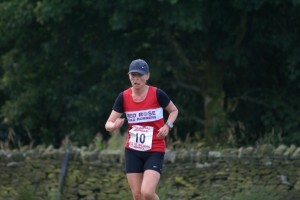 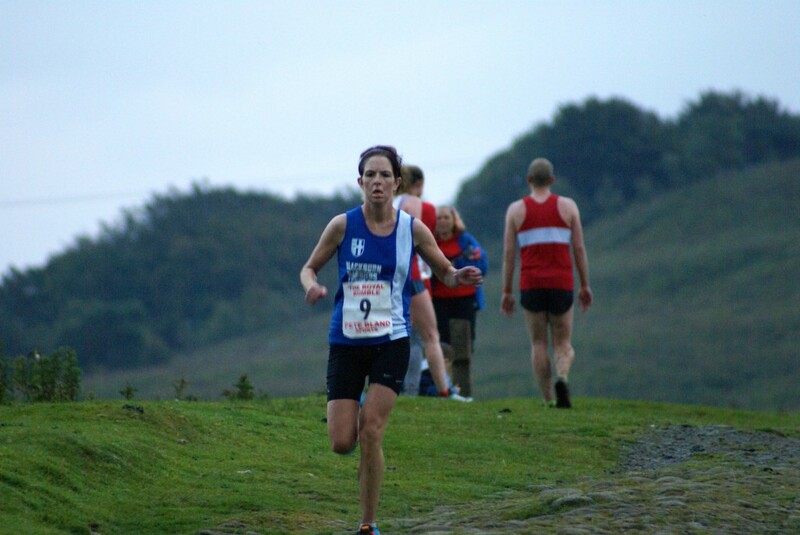 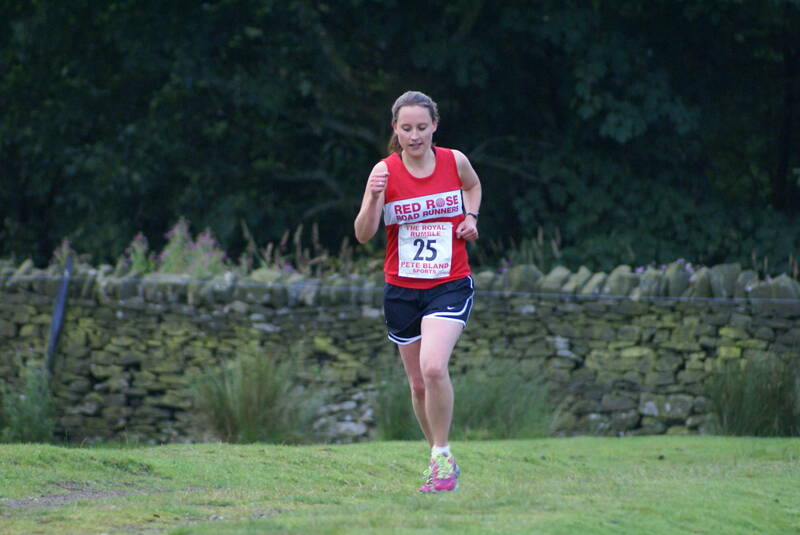 Liz finished in 21st place and had already secured her England Vest by winning the FRA Championships. 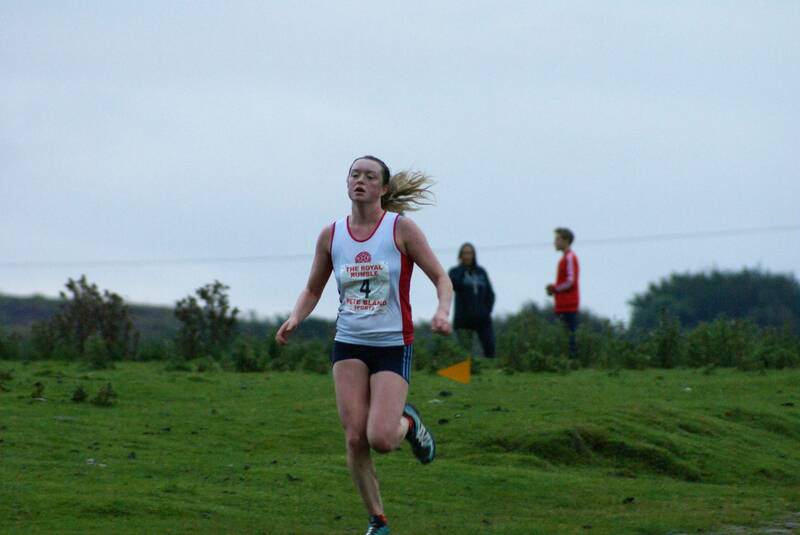 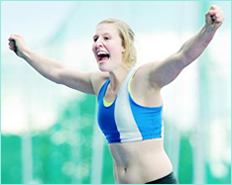 She told the Club that she “was disappointed with how I ran but am happy to get another England vest and to run in the home international in September”. 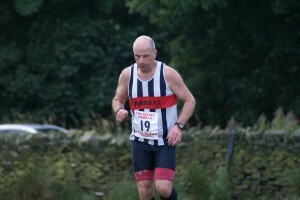 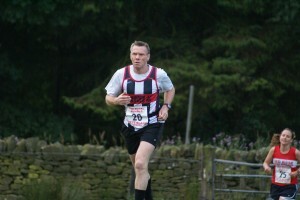 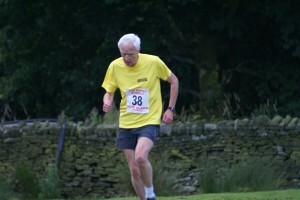 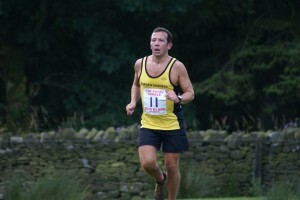 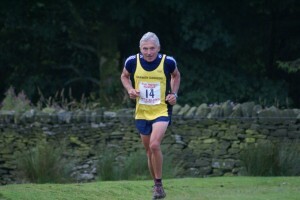 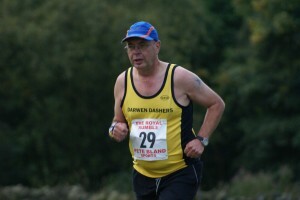 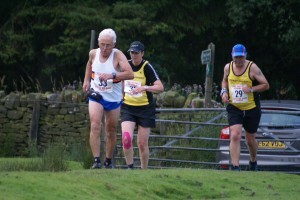 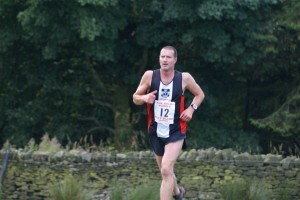 Gary Priestley running for England – (who competes for the Harriers on the Track) – ran in the Senior Men’s Race featuring 44 athletes. 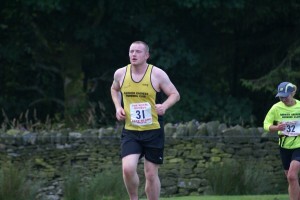 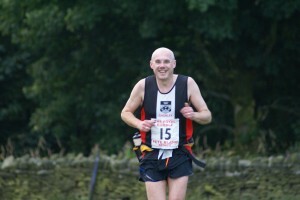 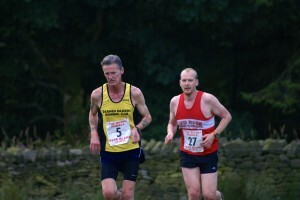 Gary came in 16th with a time of 53.25 with the Race being won by Robbie Simpson in 48.37. 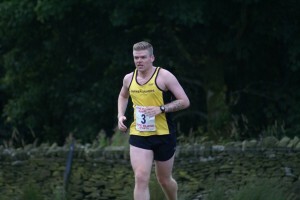 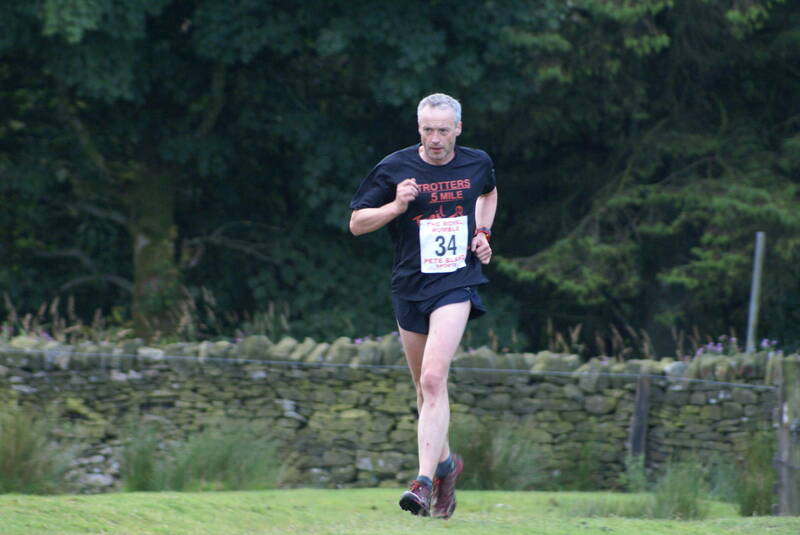 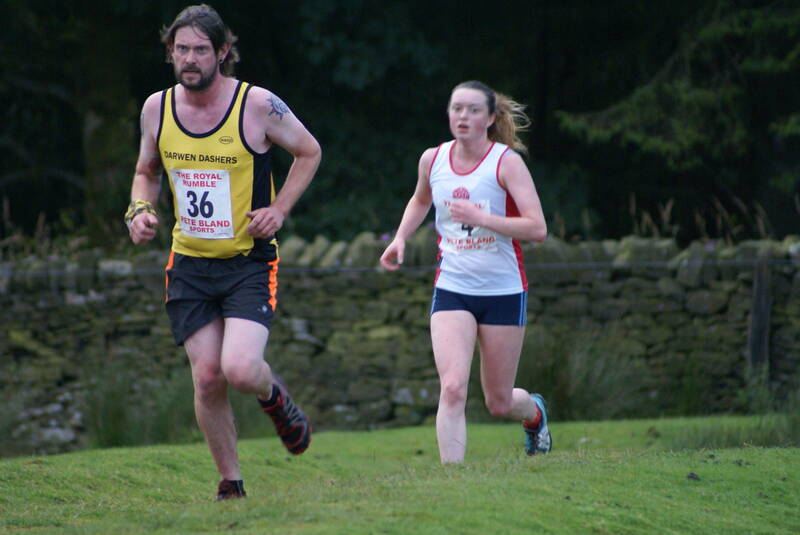 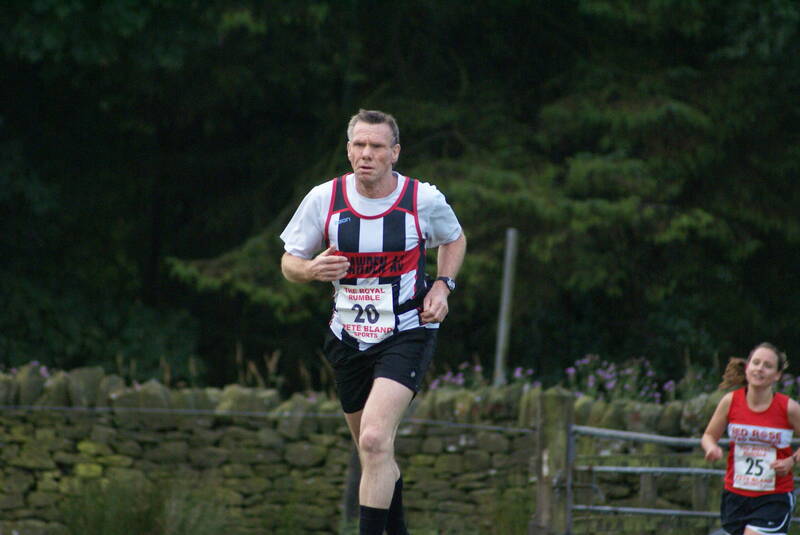 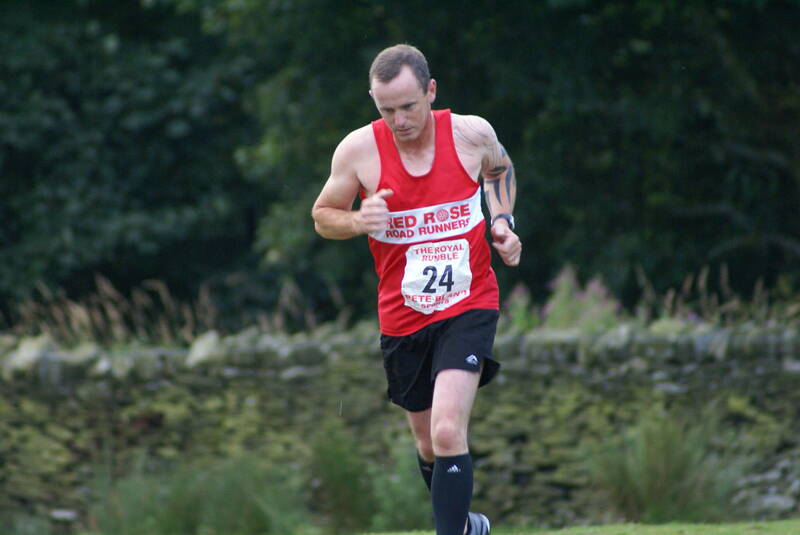 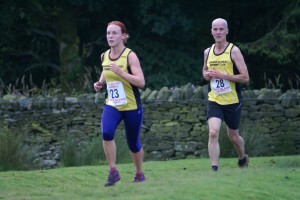 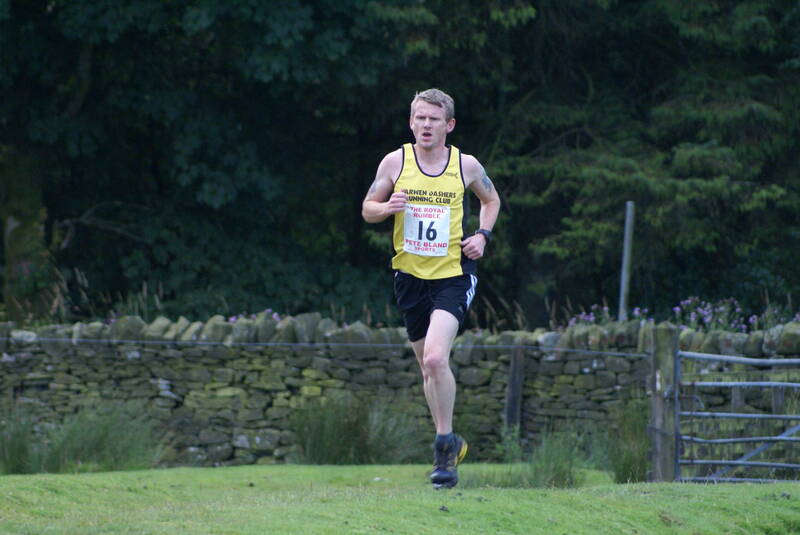 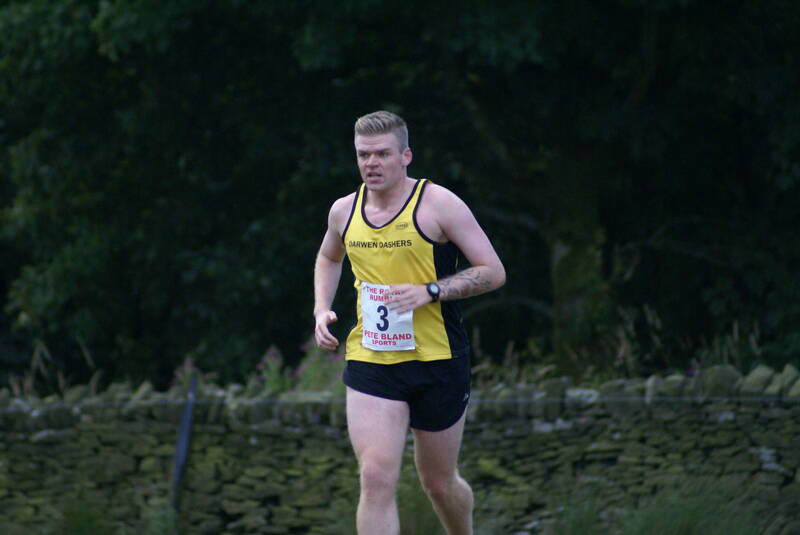 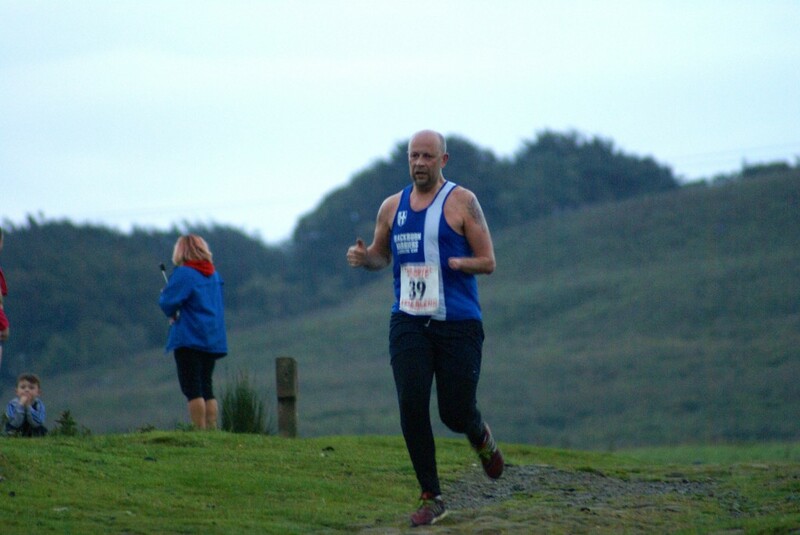 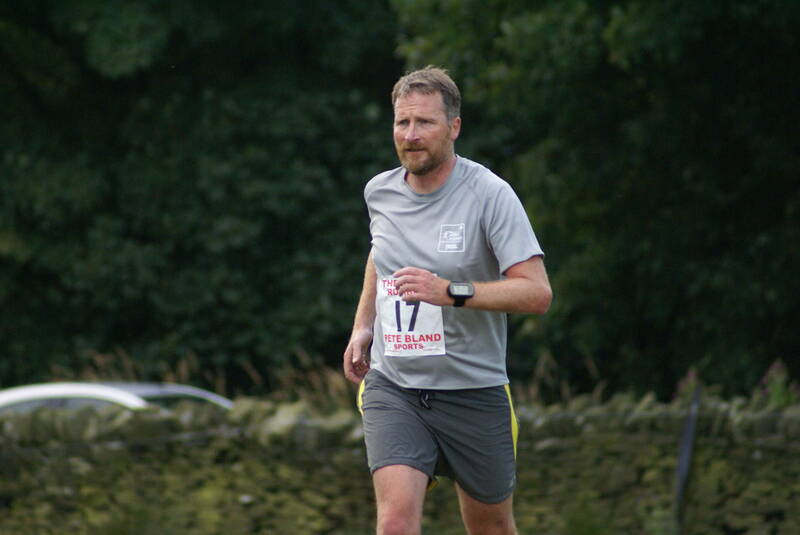 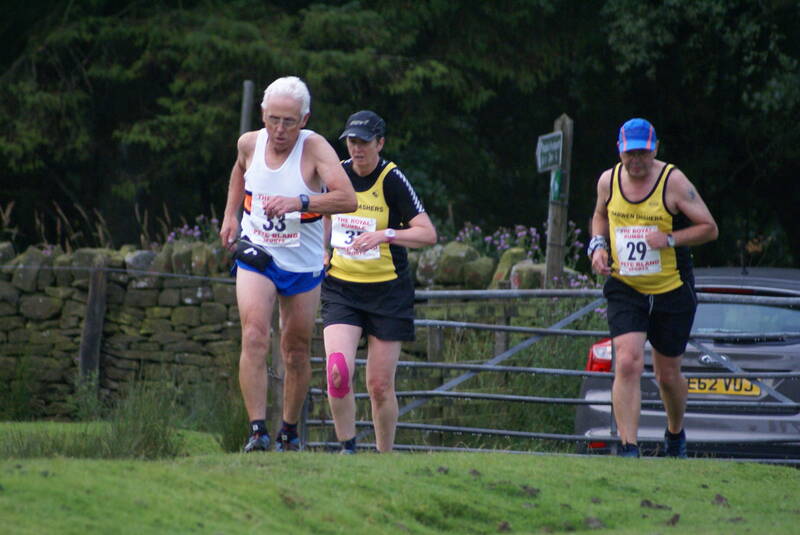 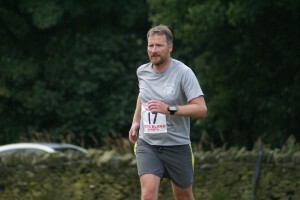 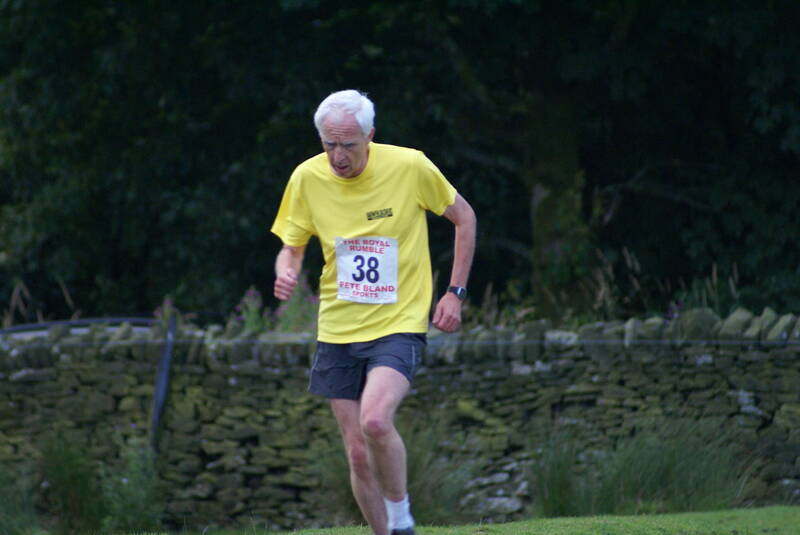 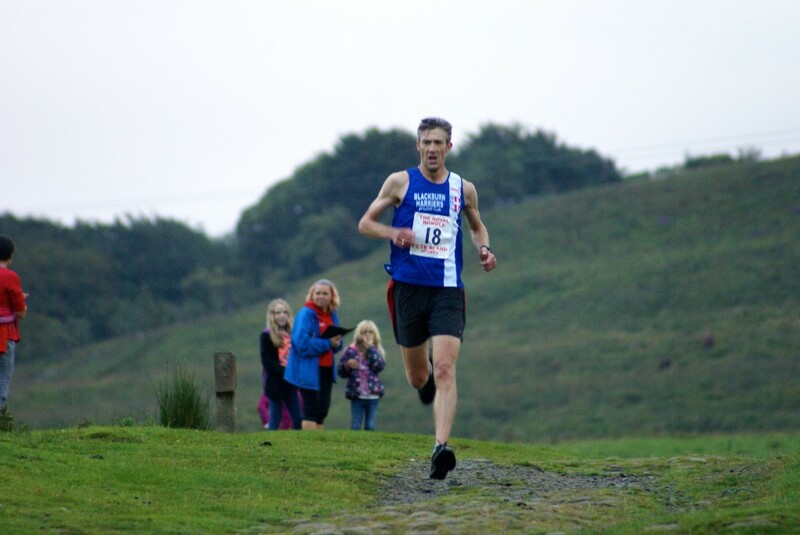 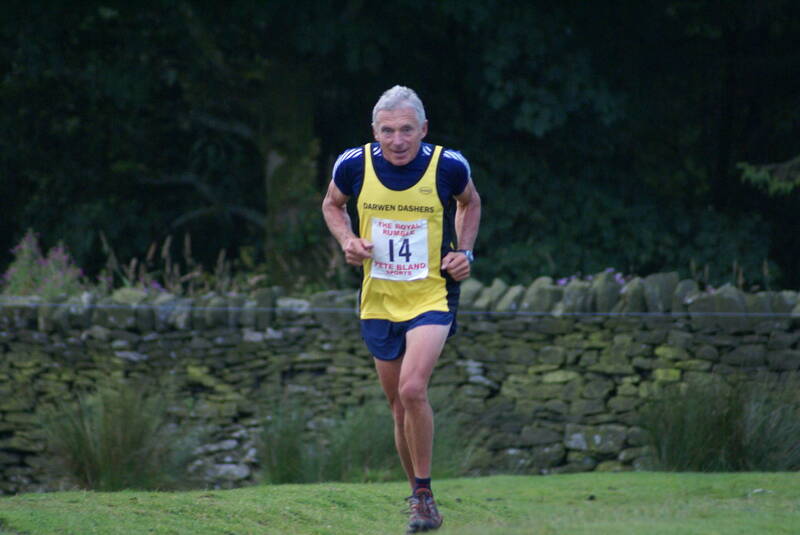 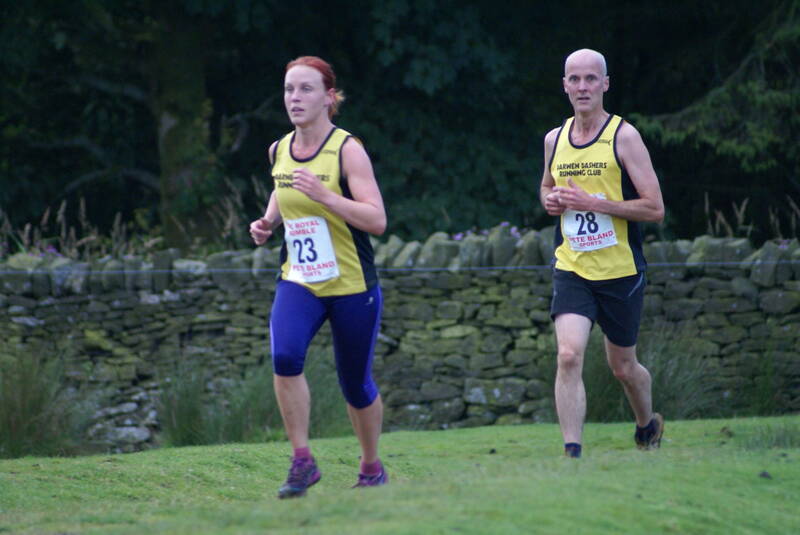 Chris Davies was the first Blackburn Harrier home in 3rd place (37.10) followed by Dominic Mahoney 6th in 39.48 – Liz Greenwood 9th in 41.10 and 1st Woman – Beckie Taylor 12th in 42.14 – Connor Mahoney 16th in 44.53 after going the wrong way – Carly Edwards 18th in 45.26 – and Paul Wilkinson in 27th (53.54). 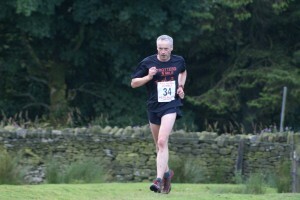 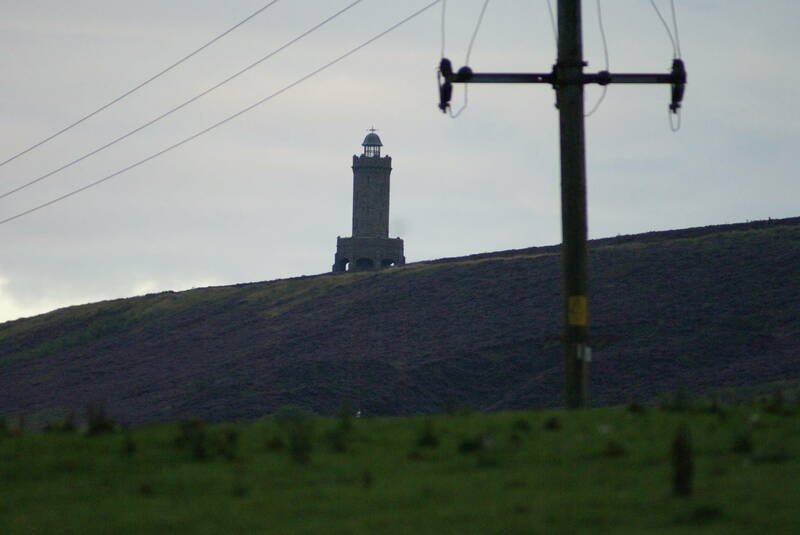 The Harriers also won the Team Prize.